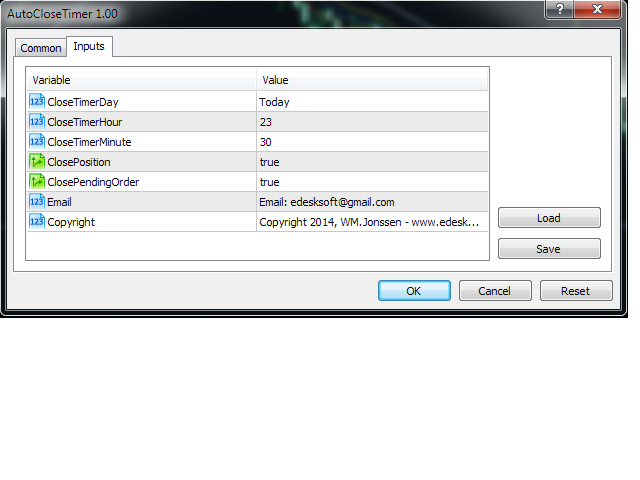 AutoCloseTimer allows you to close positions and pending orders at specified time. Note: The close time you set must be later than the current market time. Adjusted parameters for easy using.